Two CONNECT researchers are among the 2017-2018 Fulbright Irish Awardees. 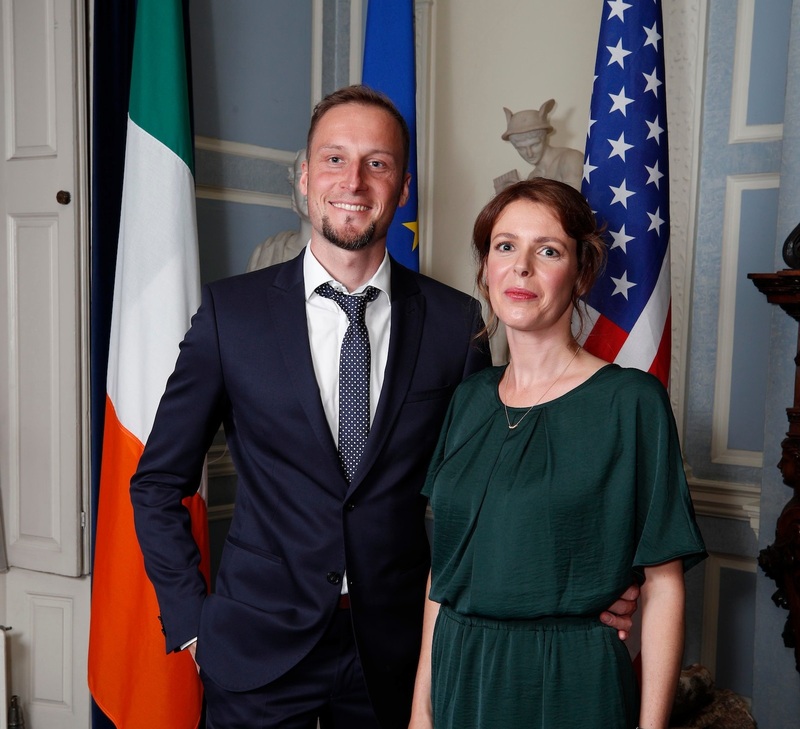 Dr Jacek Kibilda and Fiona McDermott were among the awardees announced by Mr Charlie Flanagan, Minister of Foreign Affairs and Trade, and Mr Reece Smyth, Chargé d’affaires of the US Embassy in Ireland. The awardees will study at top US institutions and collaborate with experts in their field. Recipients include students, academics and professionals from 15 Higher Education Institutes across Ireland and Europe. Ms Fiona McDermott is a researcher and PhD candidate at CONNECT in Trinity College Dublin. While on her Fulbright-EPA Student Award at the New School in New York City, Fiona will undertake critical design research focusing on the practice of urban informatics, forms of urban intelligence and networked data infrastructures. Dr Jacek Kibilda ventured into the realm of wireless communications networks during his undergraduate studies at Poznan University of Technology and has since continued his journey down the rabbit hole of spectrum, antennas, and interference, most recently exploring models and architectures for future generations of mobile networks. He holds a PhD from Trinity College Dublin where he is currently working as a research fellow with CONNECT. As a Fulbright-TechImpact Scholar, he will continue his research with the Wireless Networking and Communications Group at the University of Texas at Austin. This year the Fulbright Program celebrates 60 years of educational and cultural exchange between Ireland and the US. Since 1957, the Program has provided Irish and European citizens with the opportunity to study, research, or lecture in America, and supported US citizens to do the same in Ireland. The Program is now established in over 160 countries globally, providing a fantastic international network for Fulbright Awardees and Alumni.